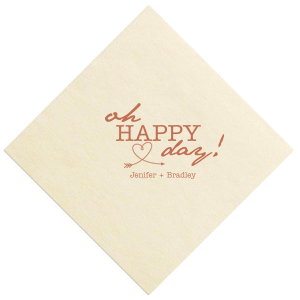 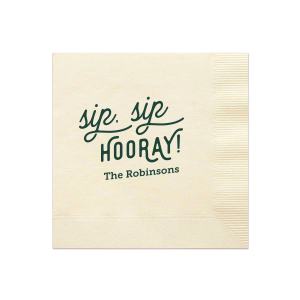 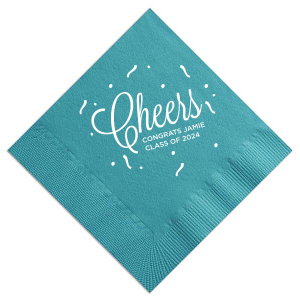 Give your grad’s day a thoughtful touch of personalization with custom designed cocktail napkins. 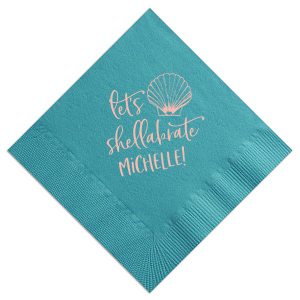 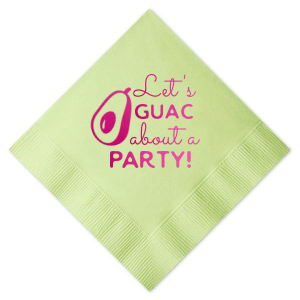 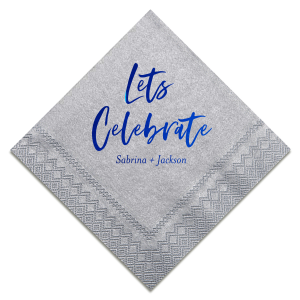 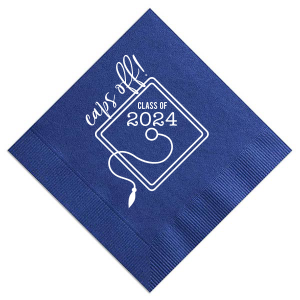 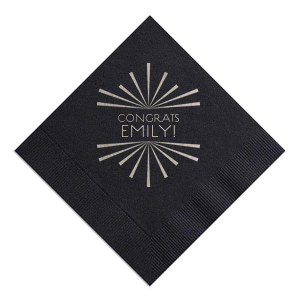 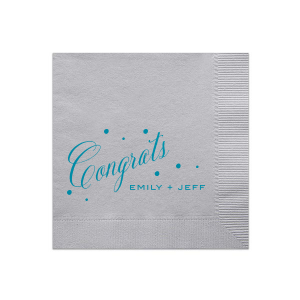 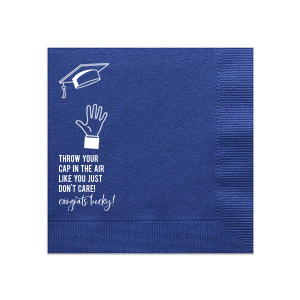 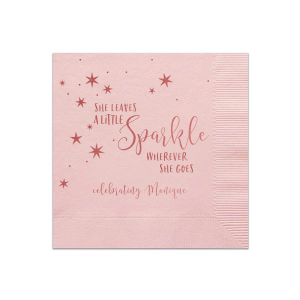 Browse our curated library of designs, napkin colors and foil stamping colors to create the perfect personalized cocktail napkin for your graduation party! 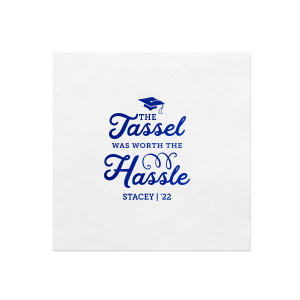 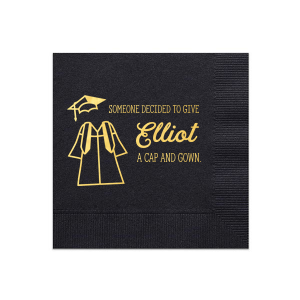 Celebrate your graduate in customized style with graduation napkins. 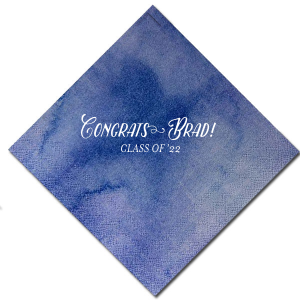 Design personalized graduation napkins using the FYP Customizer, which has endless combinations of napkin and foil stamping color options, and a library of designs. 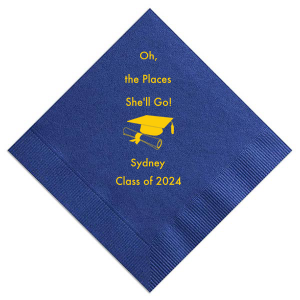 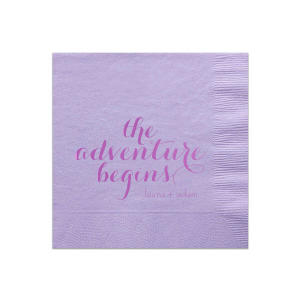 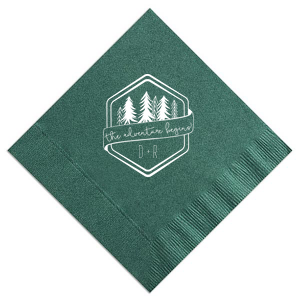 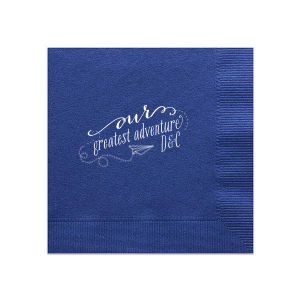 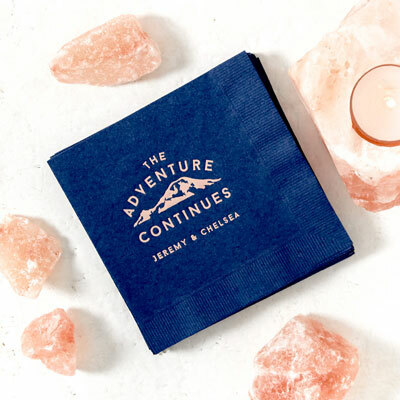 Whether you choose to highlight the school colors of your graduate’s upcoming college career on graduation napkins or to embrace the excitement of the moment with a design that says “the adventure begins!” you are sure to find the personalized graduation cocktail napkins that you have in mind. 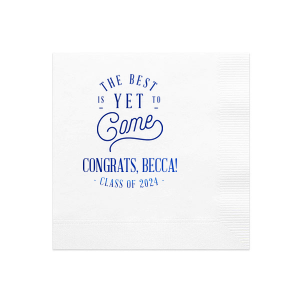 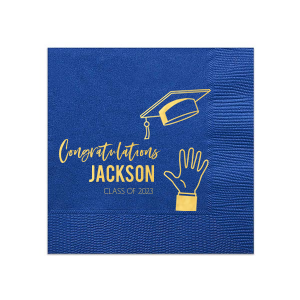 You will love the extra touch of personalization that your customized graduation cocktail napkins bring to your celebration. 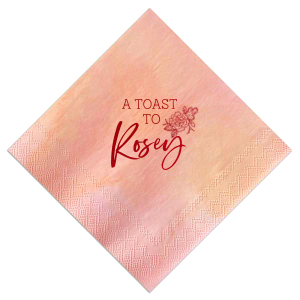 Place your foil stamped party napkins on the drink station, your dessert table or leave on tables for your guests to use. 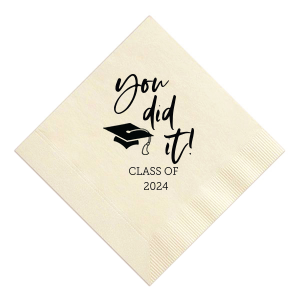 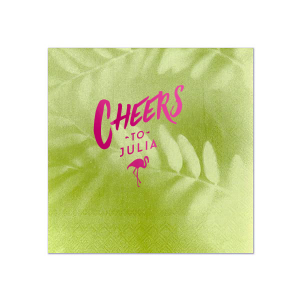 Personalized cocktail napkins for graduation parties are a no brainer.